Our solid timber Caskets and Coffins are manufactured from some of the best timber wood available. Having said this, our range of Caskets and Coffins available in MDF are also of a high quality manufacture along with the highest standards in quality finish and appearance. All Caskets and Coffins are subject to stringent testing and quality control before being transported to us, we do not accept anything less from our manufacturers. We demand the best, and expect the best products available to us which in turn are able to offer you very high quality caskets and coffins at affordable and competitive pricing. It is our ability to offer these products to you which sets us apart from most others. Most range of Caskets and Coffins are constructed of solid timber wood, most are trimmed with satin and a satin pillow is included. Some models are trimmed in Bespoke Italian champagne fabric with head and foot pillows included. Most Caskets and Coffins are fitted with solid metal handles and metal lid locks. Our friendly and experienced Funeral Directors and Funeral Consultants will assist you with your needs and guide you to a choice and style of Casket or Coffin, which will not be beyond your financial means. With us, you and your family will always be offered a unique range of products which is well within your budgetary and financial limits. Mahogany is a hardwood with fine and even grain pattern. A beautiful timber distinguished by its rich red colouring, it develops into a deep reddish-brown as the wood ages. The occasional interlocking of the fine grain produces an attractive figure. Making it highly desirable for woodcraft and furniture that withstands time. It is prestigious timber owing its durability and resistance to termites. Oak is a premium wood known for its light yellowish-brown to biscuit colour, with a hint of rose-coloured shading at the heart of the wood. It is a slow growing wood, which matures to give a significant shade with large distinctive growth rings. As such, the wood is a durable heavy wood with good overall strength, making it desirable as a structural timber, It is characterized by a straight grain with a characteristic silvery shape when radially sawn. An extremely versatile hardwood with high impermeability. Red Cedar is part of the mahogany family and has a rich visual appeal. The colour ranges from a pale red through to a richer dark reddish brown. Red Cedar features a distinctive scent that is said to repel moths. This is a soft wood, so it nails and glues well, with an excellent finish when painted and polished. This is a desirable wood, when sawn it gives off a fragrant scent. It is a hardwood and popular in making furniture and musical instruments. It often appears in a golden brown to dark blood-red colour. Asa this timber features a variable grain, which often contains burrs (grain which has grown in a deformed manner), it is highly prized in making furniture fir its potential to create unique pieces. This timber provides an excellent polished finish and is resistant to termites. This is a tough hard pine and particularly strong. Larch wood ranges from a warm honey colour to a medium reddish brown. It has a beautiful vivid surface appearance and full of character. The grain is either straight or spiraled. When sawn flat, the wood can exhibit interesting patterns in the growth rings. Its unique small tight knots that randomly distribute also adds character to the wood. Frake originates from West Africa and is the best timber earmarked for Italian woodcraft production. The wood colour varies from a pale yellow-brown to straw. The heart of the wood is distinguished by its brown-black streaks. The wood grain varies from classic straight grain, to an interlocking or wavy grain – giving each woodcraft piece its unique character. This wood type is resistant to shock loads, but with low stiffness and medium crushing strength. Ash has a medium to coarse texture similar to oak. The grain is almost always straight and regular, making it a good blank canvas to work on. The timber has good hardness and curves well with excellent shock resistance. The heartwood is a light to medium brown colour. The use of this light coloured wood is particularly linked to fashion. This is a popular wood typical for its grain and fine texture. It is known to have very few knots. It is widely used in furniture and framing construction, as it shows little shrinkage and excellent gluing qualities. It is soft and lightweight, which accepts screws and nails without splitting. As it takes paint very well, Poplar can be finished to look like other woods. Both versatile and cost effective. Crafted in the same sturdy MDF as our other collections, this is a blank canvas open to interpretation. It is the most economical option with no exterior finish or interior lining. The Contract MDF Coffin is suitable for transportation. The Richmond is an emblem of a protector. It speaks of one who led a simple life, serving only to provide and protect. With either fixed handles (optional drop bar metal handles available) on simple non-intrusive panels, the overall design is enhanced only by neat grooves at the base and on the lip of the flat lid. This is one of Australia’s most popular and modest choice. The Davidson is a modest and more humble representation of the Denman Cedar. It is a marriage of simple honesty with a little indulgence that says I am who I am. With plain non-intrusive panels, accentuated slightly by grooves surrounding each drop bar handle. This piece is an embodiment of true modesty. The Denman MDF is an iconic representation of the Denman Cedar. Embracing a perfect balance of peace and harmony. With grooved side and end panels, matching drop bar handles and brass fittings, and subtle wooden buttons and scallops at the corner edges. Finished is a high gloss lacquer shine adds depth top the modest Denman MDF. This piece is an appreciation of a modest and beautifully lived life. The Denman Cedar is an iconic creation. Embracing a perfect balance of peace and harmony. Crafted in a solid and rich deep red cedar, with grooved side and end panels. With matching timber swing bar handles and gold fittings (Silver fittings available and are optional), and subtle wooden buttons and scallops at the corner edges. This piece is finished in a high gloss lacquer shine. Proving just enough detail to harmonizes the overall appearance of tradition, and illustrates a full appreciation of a beautifully lived life. The Last Supper glorifies the celebration of the great gathering. It is a piece that speaks of the intricate experiences in a strong and everlasting friendship. The Last Supper on the side panels is intricately pressed by traditional Italian craftsman. Minute details are also etched around the panels of the timber drop bar handles. The gathering of Jesus and his apostles has been a source of inspiration for many. The honey colored larch wood, finished in a high gloss lacquer shine makes this a timeless piece, embodying the words of the New Testament: “Arise, shine, for your light has come, and the glory of the Lord rises upon you (Isaiah 60:1)”. This piece is fully trimmed and with a bespoke Italian fabric with head and foot pillow. The Candido manufactured from frake timber is a grand and unique piece. Distinguished by its brown-black streaks and natural grains, represented by the frake wood in a dark straw brown color. This piece is hand crafted with grooved sides all around, with a detailed trim and nickel handles. The grandeur characteristics of the Italian Candido makes this a very noble piece. This piece is fully trimmed and with a bespoke Italian champagne fabric with head and foot pillow. The Viola is one for sophistication and a love for knowledge. The design is crafted in two of the world’s oldest known woods, Mahogany or Oak. An undeniable match to showcase a simple and solid design of craftsmanship. Allowing only the individual grains of each piece to tell its own story. An honorable tribute to an accomplished life. This piece is fully trimmed with bespoke Italian champagne fabric with head and foot pillow. The Fatima Cena, meaning the great gathering or The Last Supper. This piece is a testament to love and friendship. The high relief wood engraving of The Last Supper on the side panels is perfectly sculpted by hand. An art that requires precision and patience. This dramatic gathering of Jesus and his apostles has been a source of inspiration for many. The engraving tells of Jesus giving the new commandment: “to love one another as I have loved you”. And calls on His apostles who follow his teachings as friends and not servants. Bound by grooved sides at the head and foot of the body, and its natural clean grains; this piece depicts of love that is ever so clear and pure. This piece is fully trimmed and with a bespoke Italian champagne fabric with head and foot pillow. The Fatima Cena is manufactured from Ash Timber. The Fatima Madonna, meaning Our Shining Lady, or Mary, mother of Jesus as referred by Christians of the Catholic Church and other Christian Denominations. The high relief wood carving of Mary on the side panels is perfectly sculpted by hand. An art that requires true precision, patience and love. The New Testament accounts of her humbleness and obedience to the message of God. An example for all ages of Christians, this piece is an accolade to ones undying faith. The mahogany option of this piece is a testament to the richness in faith shown in one’s life. The lighter Ash option of this piece depicts of one’s love and faith that is so pure. The Ceylon speaks of love and patience. The overall piece is handcrafted to a smooth and curved finish, with carved corners. Bound with solid brass woven cords on the body. Available in oak or mahogany, both slow growing trees that withstands the test of time. The woods are finished in high gloss lacquer sheen, giving it the ultimate polished and refined look. The Ceylon is the epitome of long lasting love. The Antica displays an air of elegance. With curved edges and contrasting accents of white Ash on the lid and side panels. It is a modern piece that captures the essence of an honorable and celebrated individual. One who enjoyed the vibrant dance of life. This piece is fully trimmed with a bespoke Italian champagne fabric with head and foot pillow. The Cenacolo, meaning The Last Supper, is a celebration of faith. The choice of wood in Ash with its regular grains, offers the perfect balance to bring out the focal point of the piece. The high relief wood carving of the Last Supper on the side panels is perfectly sculpted by hand. An art that requires true devotion, patience and precision. The Last Supper embodies a rich part of Christian heritage. Reflecting upon Christ’s perfect sacrifice, and in knowing that through our faith in receiving Him, we will dine with Him forever. (Revelation 3:20). This piece is fully trimmed with bespoke Italian champagne fabric and head and foot pillow. The Patricia is true to its name. An honest and noble piece, in a smooth finishing of rich dark mahogany. There is nothing complicated about this piece, accentuated only by the simple handcrafting around the body. With four solid brass round swing handles and a thin neat gold frame edging. A fitting and honest tribute to someone with an upright and fine personal qualities. One of the hardest and heart breaking funeral services to conduct is that of a baby or an infant child. It is not easy for us to describe this casket however we will, as there is always a reason as to why a family has lost their baby or young infant or child. The heart breaks, we sink to the lowest depths by the thought, but reality is, death will never and does not discriminate on age or gender. It is for various reasons that we introduce the Baby Casket, which was designed similar to an adult casket. The baby casket shown is for full term. Created by craftsmen from solid poplar timber, it is fully internally lined on the inside with satin and has a small pillow covered with the same material. Coffin or casket size is definitely an important consideration when planning a funeral. No-one wants to see their loved one squeezed into a average sized coffin or casket. Your Guiding Light Funeral director will advise you if your loved one may need to go into an oversized coffin. Good planning and well-placed questions, will equip you to be able to plan a unique celebration of life with honor and dignity. The service may need to be moved to another location due to doorway restrictions for the size of the casket. You may need to think of a different method of transport that honors your loved one, because the casket may not fit into a traditional hearse. You may need to be prepared to buy two grave plots. Talk to your funeral director; ask him or her to check the family grave site opening. 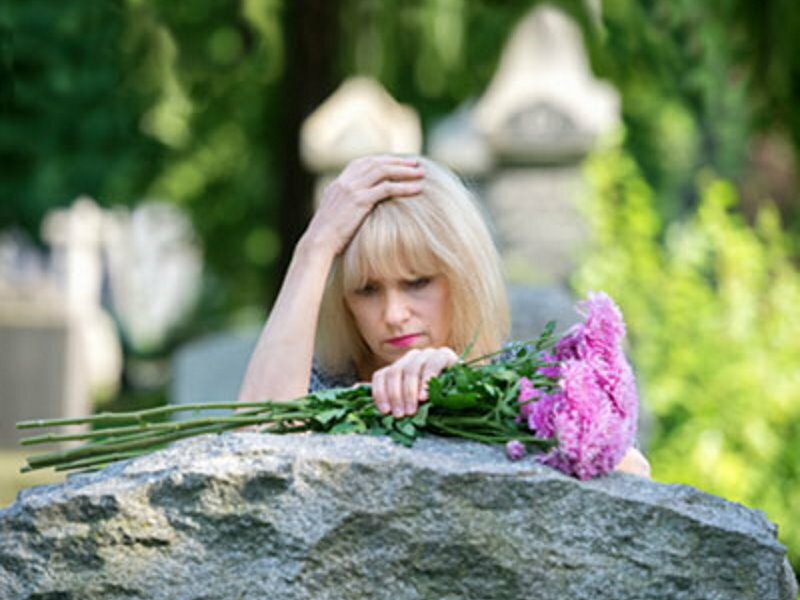 A family can preselect a coffin at the time of the funeral arrangement, the family funeral consultant or funeral director conducting the arrangements will confirm the availability of the selected coffin and size, after the deceased is transferred into our care. Average adult coffin size Standard Size: 6’ x 20” x 12”. You can get a 5’9 x 18” x 12” which is smaller. Not all coffins may be available in the oversize range and it may be the case that the family will need to look at other coffins that are available in a specific size. At times a family may need to consider a casket, as they are larger in size. A custom manufactured coffin such as the one shown in the photo and based on the Richmond Flat Lid design may become necessary due to a family’s financial circumstances, as a Casket can be more costly. Should a coffin be required to be manufactured in a specific size and one that is not readily available from any manufacturer, there will be a delay with the funeral, as manufacturers require 3-5 days to craft the requested coffin.